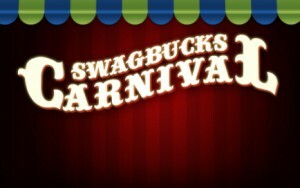 Whoohoo – the Swagbucks Carnival has started, and it gives you an opportunity to earn bonus Swag Bucks each day just for earning the way you normally would. Check the meter on your homepage and you’ll see you daily goal and how close you are to hitting it. Every day you hit the goal, you add to your bonus! As if that wasn’t enough, you’ll get additional bonuses based on how many days of the Carnival you’re able to hit your goal! To top it all, Swagbucks is having a Swag Code extravaganza all day today – that means lots of codes, lots of Swag Bucks and lots of fun! Don’t miss it! Don’t Miss the Swagbucks Extravaganza! You don’t want to miss out on the fun next week at Swagbucks when they’ll run not one but TWO big days of codes! It all starts on Halloween Monday, with a series of Trick-or-Treat code hunts throughout the day. 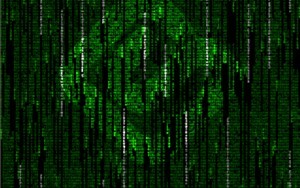 Then, on Thursday, it’s another Swag Code Extravaganza – 60 Swag Bucks worth of codes being released throughout the day, plus special promotions, announcements and more! Be sure to start out at the Swagbucks Blog at 7am Pacific Time Monday to join in the fun!